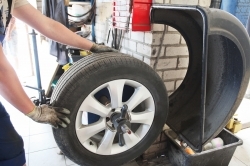 It is vital that you keep your car in good working order and receive regular vehicle servicing. This is not only for your own safety, but will help with fuel economy and your cars overall performance. Car Care in Colwyn Bay provide first class car servicing for vehicles from all the leading manufacturers, at prices that are very often a fraction of the cost at the main dealers. We always use genuine parts and can even service your car in line with the manufacturer's approvals. If your car is in need of repairs or due its annual MOT – call the team at Car Care today. Our skilled mechanics can provide repairs on all makes and models, using quality parts. Whether you require a new exhaust system or you are in need of new brakes, we can carry out complete repairs in our fully equipped garage in Colwyn Bay. Call us today on 01492 530 261 to speak to a friendly member of staff.